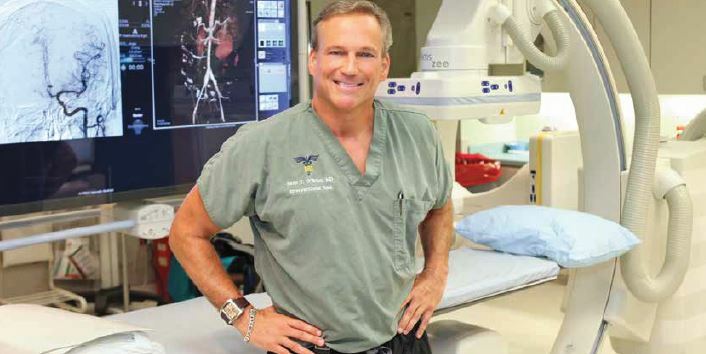 Dr. Sean O’Brien likes to joke that not even his loved ones know what he does, though he quickly adds that this is an oft-repeated joke among interventional radiologists. “I’m a doctor’s doctor,” he said. Indeed, he is almost always working behind the scenes with other specialists to diagnose and treat diseases in nearly every organ system. It is this work that often saves patients from having to undergo complex surgeries. “The best moments of my job are when I can eliminate that need,” he said. After 25 years in practice in cities such as Miami, Atlanta, Milwaukee and now, New Orleans, Dr. O’Brien has eliminated a lot of need. Tell me a bit about your practice. I work with a group of 12 radiologists who serve East Jefferson General Hospital. Within this group, I handle interventional radiology — I use imaging modalities such as CT scans or X-ray cameras to obtain images that are used to direct needles and catheters through the body. These images allow me to diagnose and treat patients using the least invasive surgical techniques. It was during medical school that I got involved with radiology. I found it incredibly exciting. I still do. I love the investigative element — getting to play detective and figure something out. It’s typically very scientific and clear-cut: I take the images and clinical information and make a diagnosis. What are your most common cases? There is no common or typical case in I.R. I literally perform hundreds of different types of procedures, and each day is unique and different. Interventional oncology. It’s a specialty in and of itself. I provide care from the biopsy through treatment. Typically, I’ll use a CT scan or ultrasound to locate and biopsy the tumor, then I’ll use a variety of noninvasive therapies, such as freezing or heating the tumor with needles or suffocating the tumor by blocking blood flow using a catheter. I like knowing that what I do saves patients from having to undergo complicated invasive surgeries. Second to that is the variety involved in interventional radiology. There is overlap with a lot of different specialties; in fact, there are few fields I don’t get to work in. Gynecologists have historically treated uterine fibroids with hysterectomy and myomectomy, but now we can achieve the same results with a minimally invasive procedure using only arterial catheters. Patients go home the same day and are back to work in a week. What recent medical breakthroughs have changed the way you practice? Lately, what’s made the biggest difference in radiology is the refinement of the devices we already have — catheters, tubes, delivery devices, stents and balloons. They get smaller and smaller, and this increases the safety of procedures and decreases the patient’s pain. Cutting-edge technology has enabled us to perform a greater range of image-guided surgery to treat a wider variety of diseases more quickly, safely and with less pain and a faster recovery time for the patient. I am very excited about the continued evolution of interventional radiology.